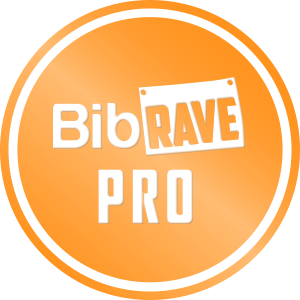 Reviewing the best shoes, clothing and gear for all types of runners and cyclists. Specializing in gear that can help take you to that next level. 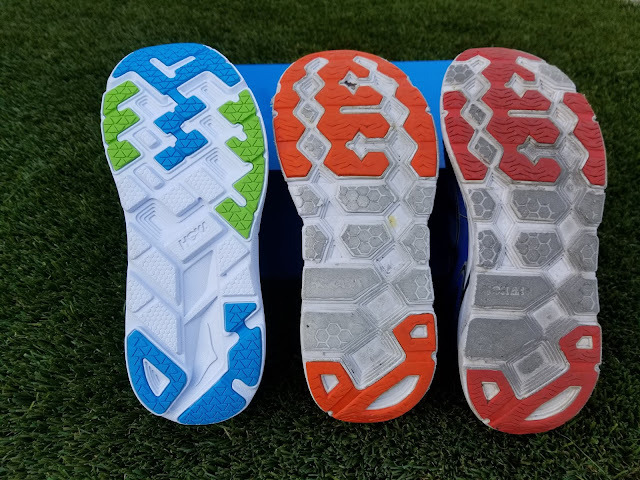 Hoka One One was the first company to release an oversized foam midsole running shoe in 2010 and the trend has been gaining popularity ever since. Now most companies have some variation of a highly cushioned shoe. The founders of Hoka One One wanted to create a larger sweet spot, much like on oversized tennis racquets or skies. There have been statements both for and against these highly cushioned shoes. While they might not be for everyone, there some benefits that the shoe companies are claiming. They claim that the extra cushion provides a softer ride, which you cannot disagree with. They also claim that the extra cushion lessens the impact on your joints and can reduce the amount of recovery time needed after long or higher intensity runs. Another claim is that the extra cushion provides an increased energy return, meaning that the shoes will provide more of a spring than lesser cushioned shoes. 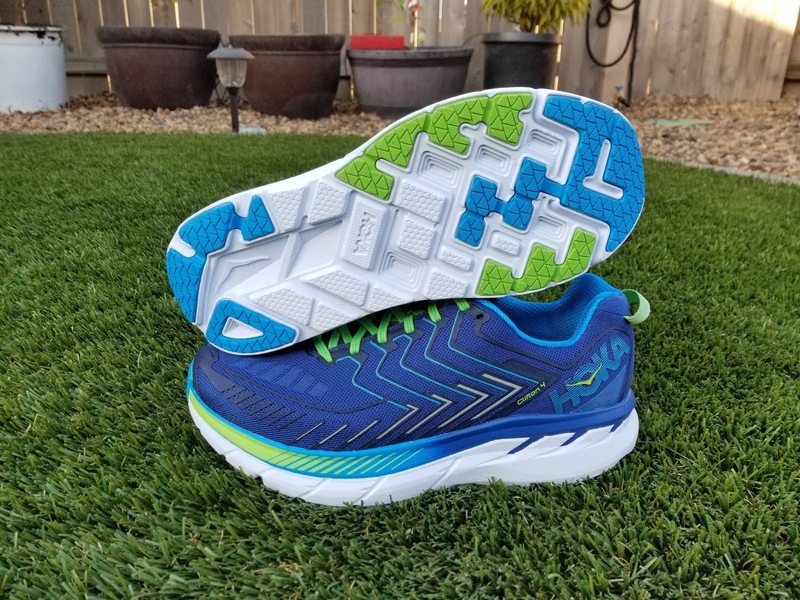 I have reviewed several shoes from Hoka One One in the past. Click the links below to read my reviews. Hoka One One has been winning awards for many of their shoes. The original Clifton won multiple awards while the Clifton 2 won the Summer 2015 “Editor’s Choice for Best Ride” from Competitor.com. 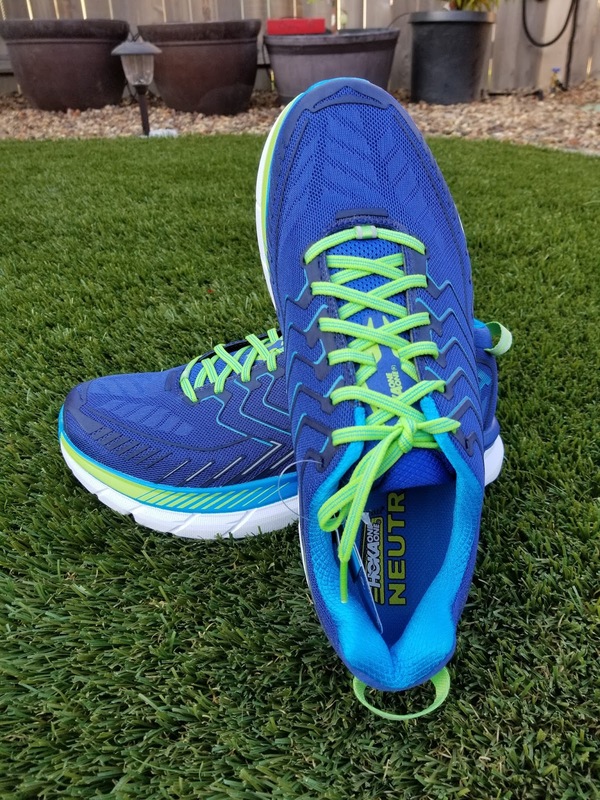 The Clayton won the September 2016 “Editor’s Choice” award from Runner’s World and the Clifton 3 won the 2016 “Best Update” award from Competitor.com. I really liked the Clifton 2 when it first came out, but the more I ran it them, the more I realized that they were too narrow for my feet. They made some improvements with the Clifton 3, which were much better in terms of the width of the toe box, but it was still just a little too narrow for my feet (which are wider than most people’s feet). 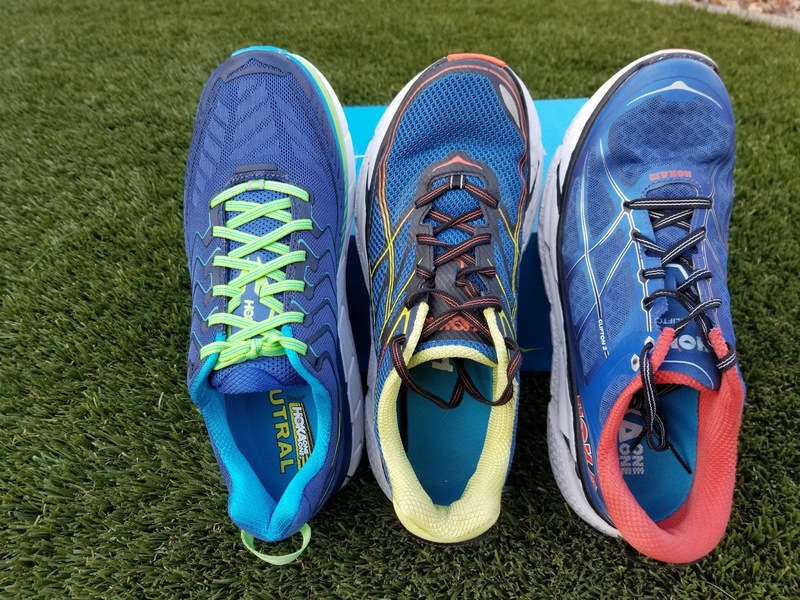 I do wear my Clifton 3’s every day because they are extremely comfortable, but because I have wider feet, I just need something a little wider to run in. The Clifton 4 that just came out within the past few months is even wider than its predecessors, but is a little too narrow for me still. The good news though is that the Clifton 4 is now available in a wide version. My favorite features of the Clifton line of shoes are that they have tons of cushion, but don’t feel like you are running on a wet sponge. They are really light weight and just feel great (unless you have unusually wide feet like me). Even with my wider foot, the width was more of an irritation than anything else. That irritation would turn into pain after 18+ miles. They have made some improvements with the new Clifton 4. The shoe is more adaptive, meaning that it molds to your foot, providing a more consistent and comfortable ride than previous versions. They used new materials including an engineered mesh with 3D puff printing in the upper. It stretches much more than the previous versions and is more breathable. The difference is noticeable both in the fit and comfort, especially on hot runs. The foam that they use has been improved as well. Hoka wanted to provide more rebound and a longer life of the foam. I feel that they succeeded in both areas, but they are a little stiffer than the Clifton 3. While they are still really soft and cushy, they are more firm than previous versions. The commercials compare it to running on marshmallows. I felt that the Clifton 3 had more of a feeling like running on marshmallows, but I do like the Clifton 4’s fit, feel, and cushioning better. The Clifton 4 weighs in at 9.3 ounces with a stack height of 29mm in the heel and 24mm in the forefoot. That gives it a 5mm heel drop. Here is a chart that shows the progression of the Clifton line of shoes. All of the Clifton shoes include an Early Stage Meta-Rocker that is made to propel you forward while promoting a natural gait. Your foot rolls smoothly from impact to off. They are all are well cushioned, with the Clifton 3 being more plush, and the Clifton 4 having a different feel, but plenty of cushion. Different people will prefer one of these shoes over the other for their own personal reasons. My favorite Hoka road shoe is the Clifton 4 Wide though. I put in 28 miles in three days before my long run this week. 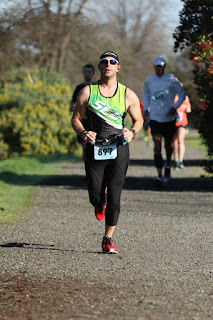 I was able to do 17 miles in the Clifton 4 Wide with no foot pain, which was common with the Clifton 2 and Clifton 3 because they were a little too narrow for me. I simply love how the Clifton 4 Wide feel. I could run in them all day! There has been a gradual increase in weight over the last three iterations of the shoe line, which has added a full ounce since the Clifton 2. 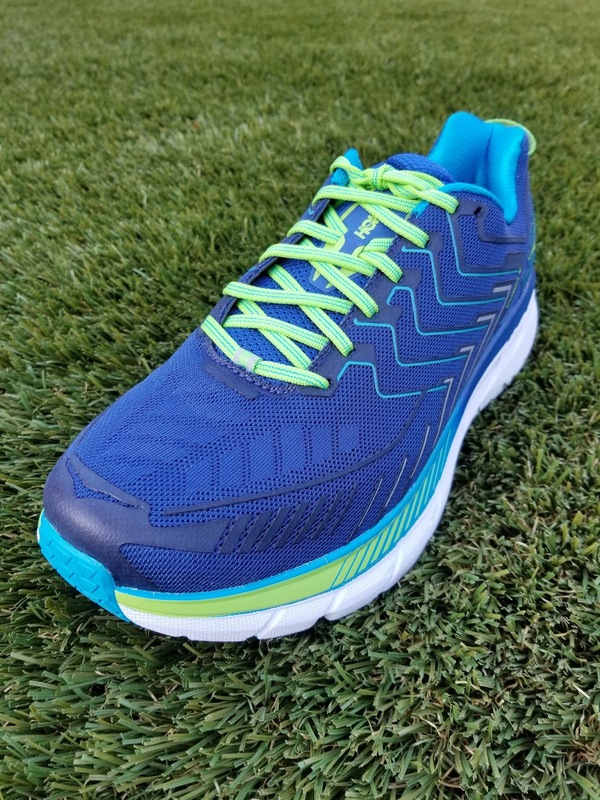 I am absolutely on board with the increase though as Hoka has really improved this shoe. I can use the Clifton 4 on long runs, easy runs, and even faster tempo runs or races. It really is an all-purpose shoe. Thank you Hoka One One for making a wider shoe for big footed fellows like myself. While I loved the idea of the Clifton 3, they weren’t quite wide enough for my feet, although they are probably wide enough for most runners out there. They made the Clifton 4 wider and even have a wide version, which I absolutely love. It is my go to long distance shoe right now and my favorite Hoka One One road shoe so far. Check them out at your local running store (click here for locations), at the Hoka One One website, or at your favorite online retailer. They are worth checking out and I would love to know what you think. Note: I received this product in exchange for a review. The review is my personal opinion of the product and I was not required to give a particular opinion of it. I am not a doctor, so please use all of the products that I review at your own risk.